Please, send me more information about ref DMD1390 in El Campanario, Estepona or similar properties. Ten-unit development under construction located in the heart of the New Golden Mile. 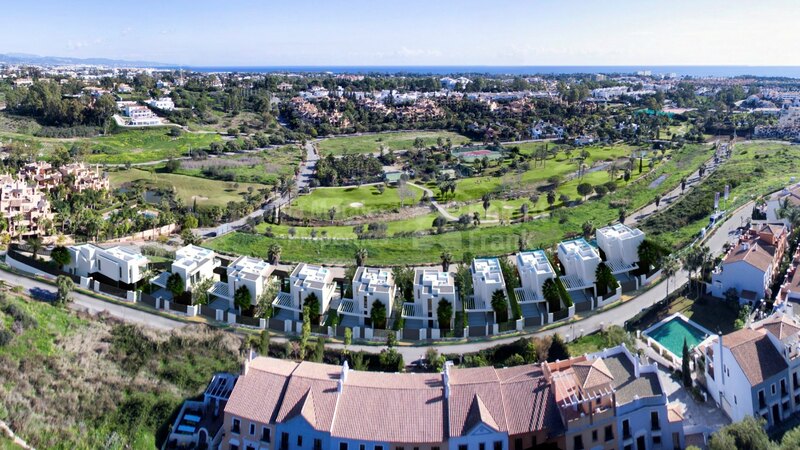 Well known area for its numerous golf courses such as Los Flamingos, Atalaya, El Paraíso, Los Arqueros and Guadalmina and also for its leisure facilities along the coast; home to numerous luxury hotels, spas , beach clubs and marinas. Puerto Banus at 8km. 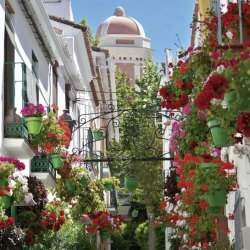 and Marbella Old town at 17 km., both approximately, provide a variety of choice for shopping, dining, sports, recreational, wellness activities and entertainment for all the family. 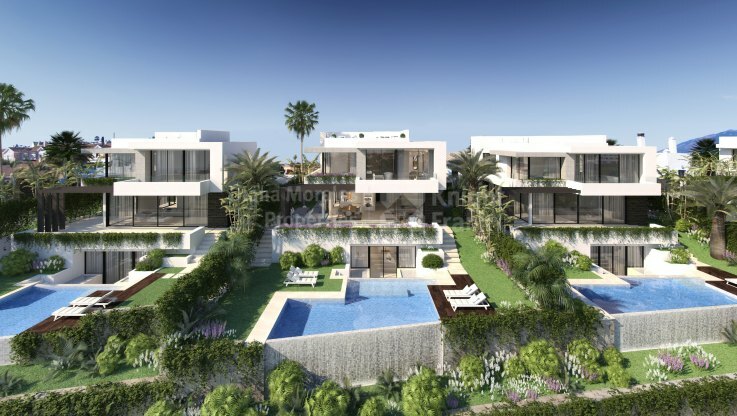 Within walking distance there is the elegant clubhouse of El Campanario Golf Club offering exclusive services and facilities for residents including a restaurant, bar, spa and fully equipped gymnasium, indoor heated pool, paddel tennis court and outdoor pool set in landscaped gardens. 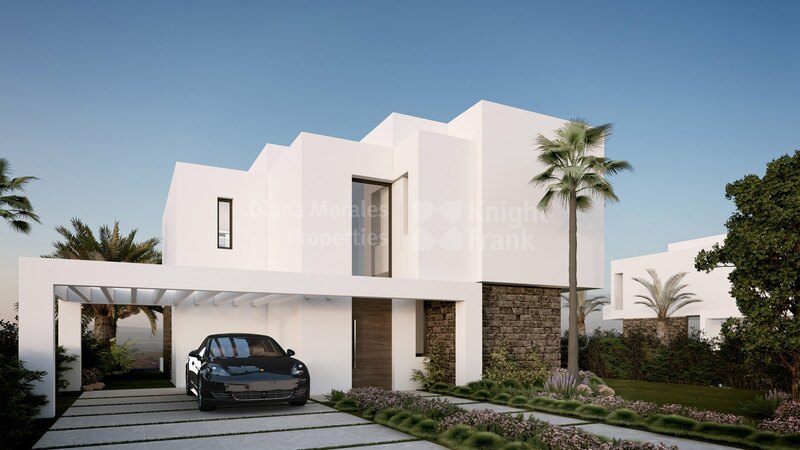 Homeowners will benefit, with substantial discounts, of a year Family Membership to Campanario Golf and Country House Club with each property. 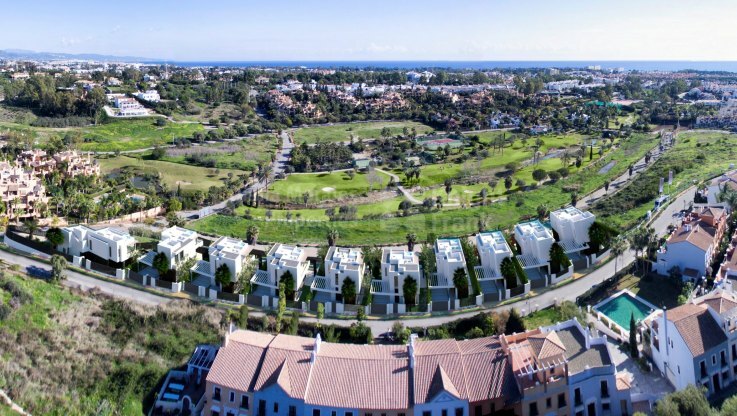 Easily accessible is the ideal choice for a first or second residence on the Costa del Sol. Extensive use of large full length windows to take full advantage of the light. Fluid connection between the indoor and outdoor living spaces and open plan layout. The kitchen is spacious with a central island featuring top quality appliances from Siemens. The open plan concept of the ground floor connects the living and dining spaces with the kitchen to provide different ambiances for cooking, dining and relaxation. All of these areas leading onto large terraces. The other bedrooms and bathrooms have been designed with care from the underfloor heating, sanitary ware and flooring to the color of the walls. Great attention to the quality of the finishes is reflected in the smooth paint on the walls, the lacquered interior carpentry, the floor to ceiling sliding glass doors, the interior and exterior large format porcelain flooring, the kitchen’s design and choice of electrical appliances, the quality of the fully fitted wardrobes and the Italian sanitary ware in the bathrooms. Designed to achieve the lowest energy consumption it includes lighting with leds for direct or indirect light within the home, preinstallation of a home automation system, fibre optic Wi-Fi and the preinstallation of an alarm system.